Marisol graduated from the University of Illinois at Urbana Champaign with a Bachelor of Science in Special Education, and went on to earn her Masters of Science in Occupational Therapy at Chicago State University. Marisol’s passion for occupational therapy began when she worked as a service coordinator in the early intervention program. She saw the vital role occupational therapy played in improving a child’s motor skills, sensory system, social emotional development, self help skills, and play development. She truly enjoyed connecting with families and helping them find the best therapeutic support to maximize their child’s development. 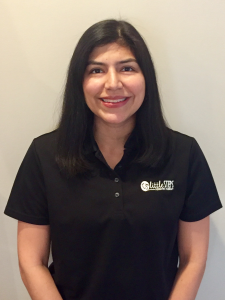 Marisol loves working with children and has clinical and volunteer experience in pediatric outpatient settings, in-patient hospitals, and school settings. She has worked with a multitude of children diagnosed with developmental delays, autism, cerebral palsy, arthrogryposis, and spinal cord injuries. Marisol values collaborating with families, team members, and strongly believes that a family centered approach paired with a strong multidisciplinary team approach is essential to child’s success.